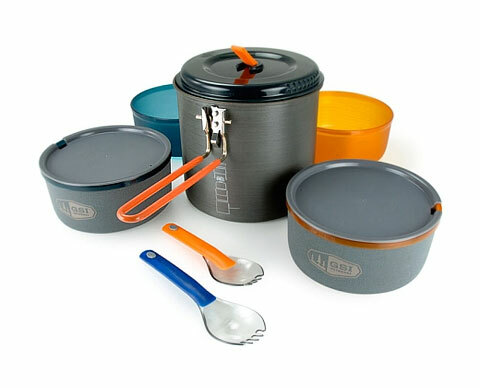 If you are a keen camper, then the Outdoors Pinnacle Dualist Cookset, manufactured by GSI, should be one of the basic items included in your outdoor gear. 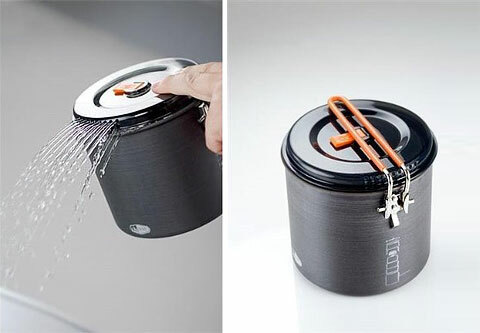 Stylish and extremely practical this set contains everything needed for cooking, eating, and drinking coffee. Considering everything that you get in the kit, it packs up small, is made of fantastic materials and of course has “Teflon” non stick coating. 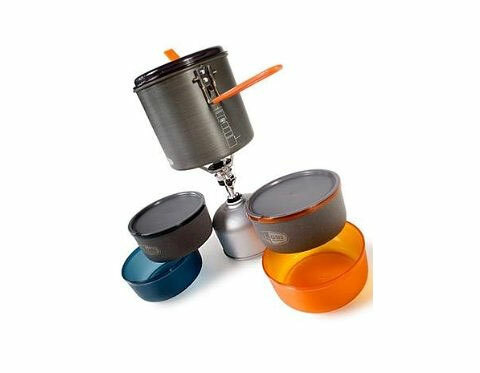 The set contains enough stuff for two campers which is – two bowls, two mugs with sipping tops, two telescoping Foons (fork/spoon), and a 1.8L cooking pot with a foldable handle and a crush proof lid with an integrated strainer. All these pieces together are extremely light (only just over 20oz) and highly suitable for carrying by backpackers. Also included is a small bag so your stove doesn’t scratch the pot and a welded stuff sack that holds all the pieces together and doubles as a small wash basin. 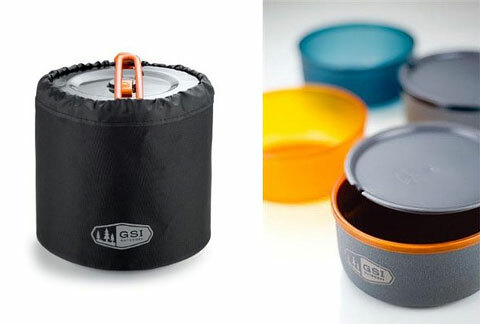 GSI specialize in lightweight cooking equipment for campers and there other items that you can add such as a 1 liter kettle. However in the Dualist cook set you have all you need for your next camping adventure.